What happens to a fleece when it leaves the farm? Alex Robinson asked the British Wool Marketing Board (BWMB) what goes on behind the scenes of the UK wool industry. Each year, over 45,000 sheep farmers utilize the BWMB’s services. A non-profit organization that abides by co-operative principles, it works with producers who own a flock of four of more sheep. The wool depot for the north of England Wools is located in Bradford and sees over 30million kgs of wool pass through its doors every year. Every fleece is individually assessed by a professional who gives it a grading, dependent on type, colour and quality. The grading process is designed to add value to a fleece, with quality controls in place to ensure that standards of wool remain high. 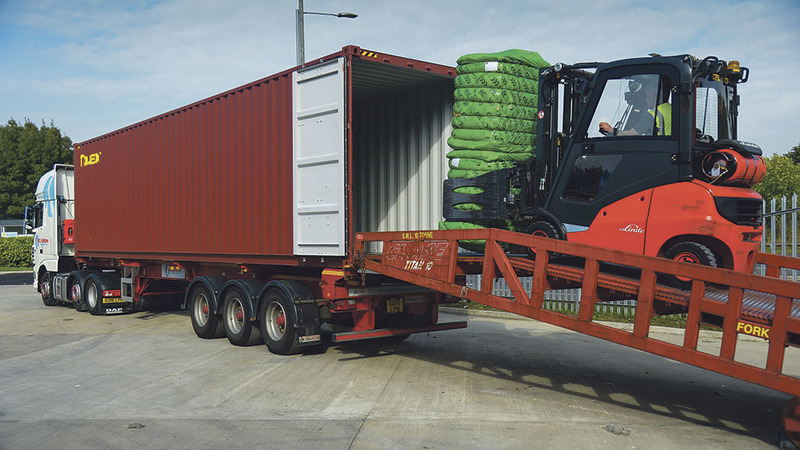 Each of the national depots follow the exact same grading regime. The wool gets graded into types and is also checked for colour quality, staple strength, presentation and contamination. The ‘excellent clip presentation certificate’ was introduced in 2014 as a form of recognition for the farmers who have produced wool to the accredited standards. Nick and Julie Houseman and son John farm at Prospect Farm, Otley, running a 500 strong sheep flock of Swaledales, Mules and Blue Faced Leicesters, alongside a 150 dairy cow herd. Their 243 hectare (600-acre) settlement regularly hosts training days for apprentice shearers and sees around 1000 newly qualified professionals pass through its gates each year. 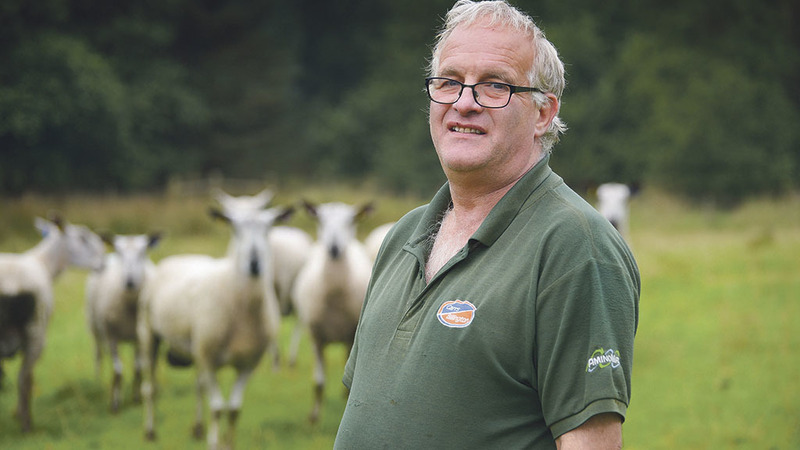 Nick has been a member of the Yorkshire regional committee since 1998 and notes how important it is for a producer to look after the wool during the shearing process, to ensure it gets put in the best grade possible. He says: “ensuring a fleece is well presented makes all the difference when attempting to add value to the clip. 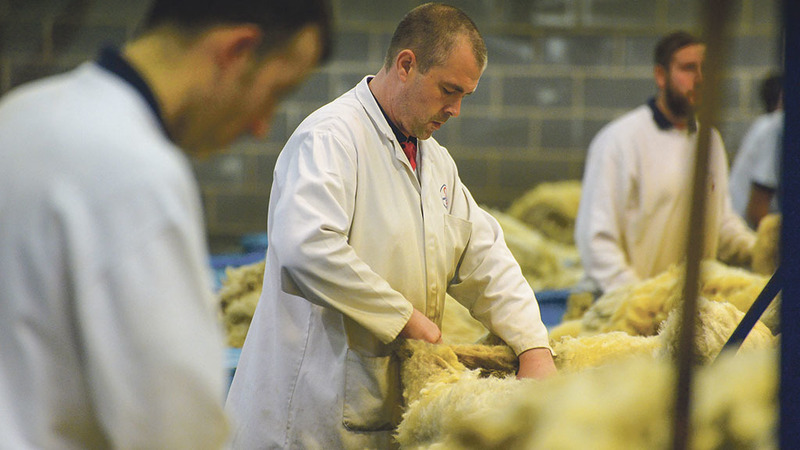 Wool needs to be kept dry and clean, and attainting the clip presentation certificate are all things to be done to maximise the financial potential of a fleece”. 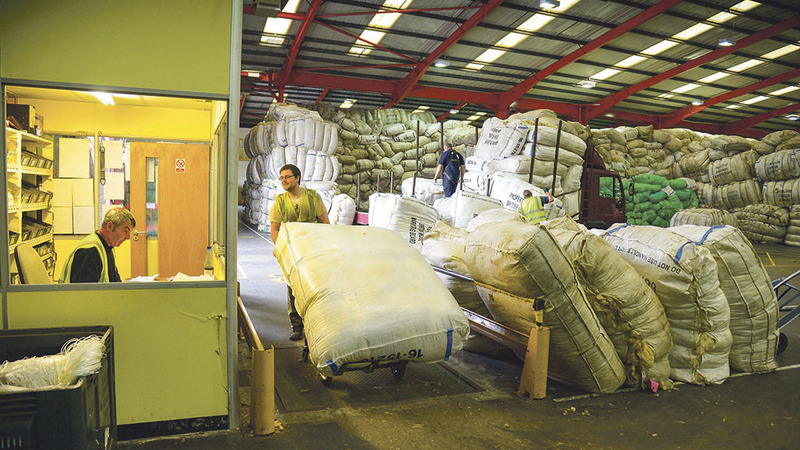 When enough of a certain type is collected, a sample from each wool sack is sent to a testing centre to be checked for its colour, yield, micron colour and vegetable matter content, information which the buyer will have access to when purchasing. All wool processed through the board is auctioned and sold at the Bradford depot, and since 2003 this has been done using an online auction system. The buyer is provided with a wealth of information about the wool prior to each auction, which tend to be seasonal affairs with 18 being held each year. Despite only making up around two per cent of the global market, British wool trade would be obsolete without significant international interest. Over 30 per cent of British wool is shipped to China and a further 10 per cent to other global markets. “The board is involved in every stage of the wool processing”, explains Mr Jones. “From transporting the fleece off the farm right through to the marketing campaigns which promote wool to perspective buyers. With the development of global markets, I feel there are some exciting times ahead for both the board and the industry at large”. Excessive marking – make sure that any marking fluid used is board approved. Avoid using tar, pitch, oil, paint or creosote as these will not scour out. Water damage – wet or damp wool quickly deteriorates so it is important to ensure all sheep are sheared when dry. Never use polythene bags for packing loose wool, as they trap natural moisture in the wool. Contamination – if you house your sheep during the winter, avoid contamination of wool by hayseeds and straw. A carefully implemented feeding system can reduce this, for example, rack feeding. Binder, baler or polypropylene twine – Tying fleeces using any of these methods can be damaging, as unwanted fibres can get mixed in with the wool. Clun Forest, Dorset Down, Dorset Horn, Shropshire Oxford, Southdown, Suffolk and crosses. Woven apparel, futons and hand knitting. Lleyn, Texel, Romney, Border Leicester, Welsh Half-bred and crosses. Woven apparel, hand knitting and carpets. Welsh Mule, Scotch Mule, N of E Mule, Masham and crosses. Lincoln Longwool, Wensleydale, Devon and Cornwall Longwool, Blue Faced Leicester and crosses. Lustrous yarn, knitwear and woven apparel. Beulah, Hill Radnor, Gritstone, Lonk, Cheviot and crosses. Woven apparel, knitwear and carpets. Blackface, Swaledale, Rough Fell, Welsh Mountain and crosses.